If you love vintage, the holiday season is always special. The decor from days past always brings back memories of this time of year. Whether its the ornaments your Mom or Grandma hung on the tree or the toys you got for Christmas. 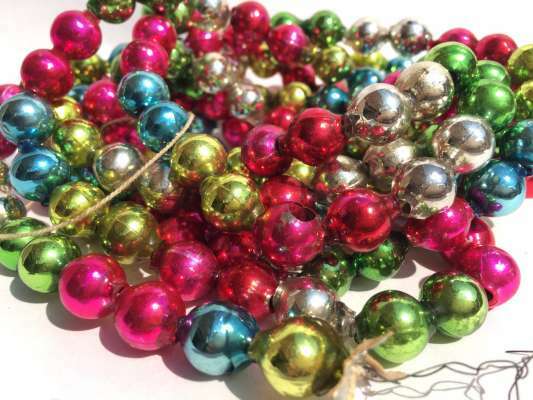 Here are 5 hot vintage Christmas trends we are seeing at the Vintage Garage Chicago this year! Ornaments made of felt, glitter, paper or wood Made in Japan. 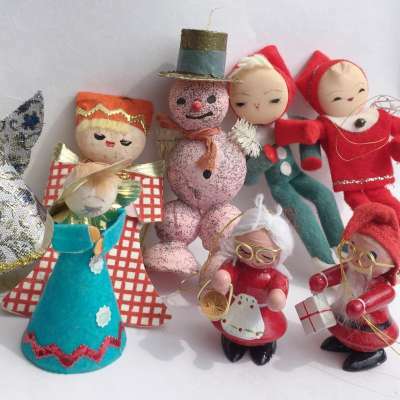 These whimsical ornaments started to come out post WWII. You can find so many varieties of angels, snowmen, Santas and little houses. When they are made from paper or fabric, they can be fragile, so store them carefully and only buy complete and in excellent condition ornaments. They are plentiful enough not to settle on damaged ones and still quite affordable. I would love to see a whole tree full of these! Midcentury holiday glassware and barware. 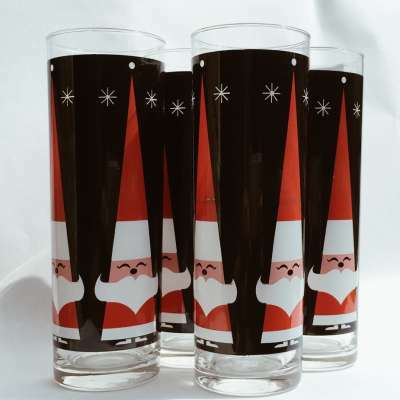 These Holt Howard Santa glasses are a great example of Midcentury modern of the 60's. They were used by Dairy Queen as a Holiday promotion. They're a little funky, definitely fun, and anything with a Midcentury flair is flying out off booths. Prices are moving up, so when you see it at a good price, you'd better snag it. Midcentury Santa is a tough one to keep in stock for vintage dealers. This is a great set of Santa mugs and a pitcher by Holt Howard. 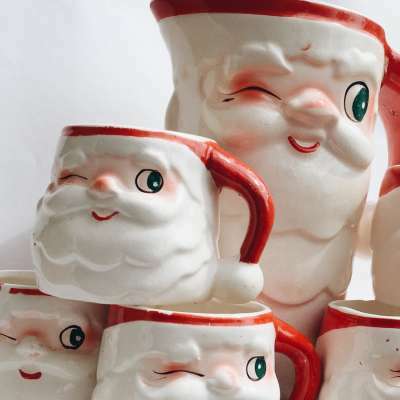 Santa mugs are everywhere, but finding ones with a Midcentury flair is a little harder. Holt Howard was popular with the MCM Americans of the time. Again, look for ones in excellent condition. 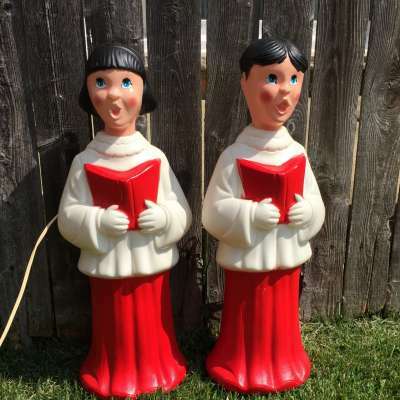 Christmas blowmolds have quite a following and older ones are getting harder and harder to find. Made of hard plastic, these pieces were made to be outside in the elements; a bulb goes inside to light them up at night. Blowmolds have a specific process that is not like injection molding. Think milk jugs. Companies like Poloron, NOMA and Union Products were the first to create these bold decorations and prices are going up every season. The only downside of blowmolds is their size, but they are worth the storage when they are all lit up! Mercury glass garland comes from Japan and is made of very thin glass. It's almost difficult to tell they are glass; they almost seem like plastic. There are so many varieties, shapes, sizes and colors. They start at 1/4 of an inch and go all the way to 2 inches and come plain, in one color or multicolored. I find the bigger the better, but the larger decorated glass is getting harder to find. Tip: look for a star, circle or square shaped piece of paper on the end of the strand and you'll know it's mercury glass made in Japan. Vintage Garage on the Road! Holiday Market December 1 at St. Andrews, corner of Hollywood and N. Sheridan. 11-6 see your favorite Garage dealers bring out the best holiday merch and gifts! Get Tickets for the Next Show Here! The 2019 Vintage Garage dates are May 19, July 21 and September 15. There will be 100 vendors offering cool vintage and antique goods. Vintage Garage is located at 1800 Maple Avenue, Evanston IL 60201. Hours are 10:00 am to 5:00 pm, $6 admission. Official website is <a href="https://www.vintagegaragechicago.com/">www.vintagegaragechicago.com</a>. The Chicago Vintage Clothing and Jewelry Show is October 4, 3pm to 8pm, October 5, 2019. 10am to 5pm at 5649 N. Sheridan Road, Chicago, IL 60660.